2008 has seen major changes in the economies of countries worldwide. Many countries have gone into recession or are going into it and economists predict a "rough" time ahead for a few years. At a time like this many people have to cut costs and unlike earlier recessions there are more "essentials" that they want to retain, for example mobile phones, satellite/cable TV and broadband internet access. One "essential" that can be overlooked is their insurance policies. Some insurance cover is mandatory under the law of the country for example motor vehicle insurance. If someone has a mortgage the mortgage company will usually insit as part of the mortgage deed that Building Insurance has to be taken. Other types of insurance are also compulsory, however if you are renting or letting a property, going on holiday, are a home owner, in business you need to keep up the insurance payments. 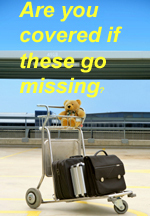 If you're not insured you could be risking losing your belongings. You might decide to stop your household insurance contents. What happens if there is burglary at your propert? No insurance no insurance pay out. Many companies have monthly payment schemes; however always read the "small print" if you stop paying the premium, the cover usually stops. and therefore no insurance payout. Don't cut back on insurance. You never know when you might have to make a claim.